Before the now-infamously awkward dinner between James Comey and Donald Trump, not many people paid any attention to who Jame’s wife was, and even though most people now want to know who she is, not much is known about her because she has not been in the limelight like her husband. Little has been revealed concerning Patrice Failor and her early ages, but she is American by descent. 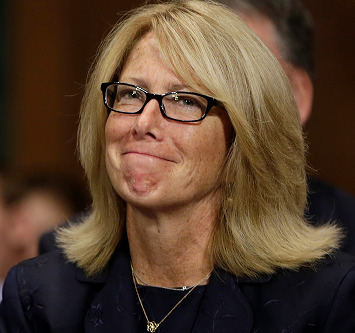 Apart from being the wife of James Comey -the former FBI Director fired by Donald Trump, she also has a career for herself. Patrice Failor attended Williams and Mary College in Virginia where she met her husband James Comey in 1978. In 1982 She graduated from College and now holds a Master’s degree in counselling. Patrice has worked as a volunteer in Bridgeport superior court and has also been involved in Juvenile Justice Issues. She is an advocate for foster children as she is also a foster mother. Patrice’s involvement with foster care is something she holds close to her heart; she is also involved with foster kids in her community. Patrice met her husband James Comey in college in 1978. They both have different stories as to how they met. Patrice claims to have seen Comey in a Daiquiri (cocktail) party while James says they met when she suggested to him that he runs for President of his dorm council. A mutual friend eventually introduced them and got them to sit down and talk. Patrice allowing James talk about himself for three hours got James to walk away deeply in love with her. They eventually got married in 1987 after they graduated in 1982. They have since been together for 30 years and counting. James Brien Comey is 2.03m tall and is a lawyer by profession. He served as the 31st United States Deputy Attorney General, the United States Attorney for the Southern District of New York, and the seventh Director of the FBI for 4 years until he was fired by Donald Trump in May 2017. After his awkward dinner at the white house, CNN reported that James said he had to break a date with his wife in order to honor President’s Trump dinner invitation to the White House. He explains later when he was asked by Senator Angus King about his dinner with President Trump, that he loves spending time with his wife hence, his regret of breaking his date with her. It showed how much he valued time with his wife. This made headlines as it was said during the hearing that was highly publicized. 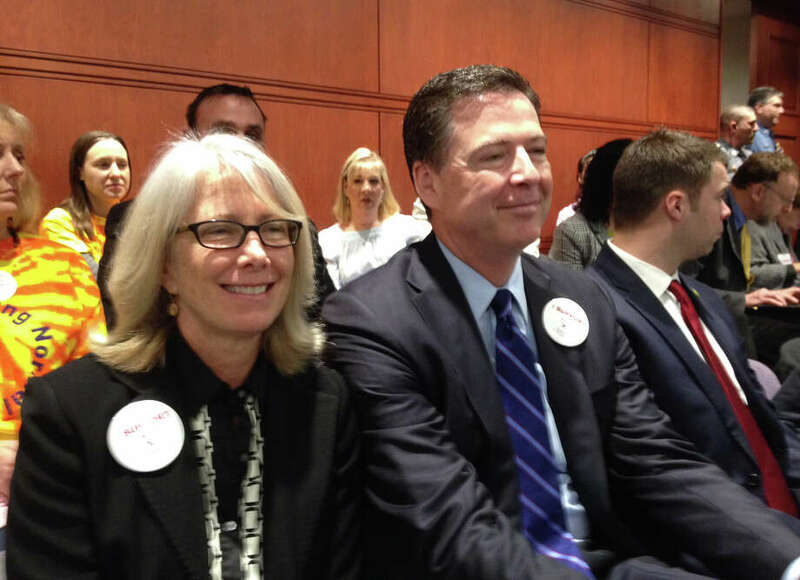 On his nomination to be Barack Obama’s FBI Director in 2013, WestportNOW reported that Comey stated that nearly all he is and has done in his adult life is due to the great fortune of marrying his wife Patrice Comey. Such remarks can justify the fact that Patrice’s relationship with her husband James Comey is an enviable relationship or what we can refer to lately as relationship goals. Patrice had six children with her husband, James Comey namely: Maurene, Brien, Abby, Collin, Claire and Kate Comey. She lost Collin when he was just 9-days old to Strep Infection and dealt with the loss with her husband by her side. She now has 5 children. Of her 5 children, Maurene attended Williams and Mary College as well and went on to Harvard law school. Her son shares his father’s height and plays basketball at his college, Kenyon in Ohio. He aspires to be a law enforcement officer as inspired by his federal prosecutor dad and has interned with the Arlington County Virginia Police department. Patrice and her husband, James Comey are very family-oriented that they will attend Broadway shows on the recommendation of their kids. She and her husband raised their children in Northern Virginia and Iowa. Patrice can be described as a tall woman; she suits her husband’s height who is 2.03m tall. She campaigned for proper testing of pregnant women. She is a fan of Broadway and LGBTQ stories. She didn’t like living in New York and encouraged the family move to Virginia.